Documenting lives for 10 years has been just that. I have loved this big ol' adventure with sore feet, sunburned skin and sand in my hair. Working with all sorts of Couples, families and friends, your kids giggles, your babies and their fresh sweet skin, guiding you at your Engagement session until I see you light up like a star while looking at each other again, and capturing that first look on your wedding day when you walk to each other with hearts pounding and eyes watering. I've hung from a cliff shooting a rock climbing couple, followed another for hours until we reached an abandoned train bridge ending with a snake in my bag and blisters on my legs, joined a Bride and Groom in the beautiful thick forest of Denmark, sunshine streaming through the trees. This is my kind of photography, and it really is an adventure. I'm a big fan of people being exactly who they are. Shooting outside with natural light is my favorite, but if we must, I do have a studio for rainy days and documenting your new babes. I absolutely love what I do! 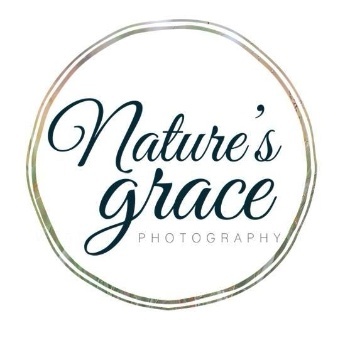 I own Nature's Grace Photography and Little Lights Events, a wedding and event center in West Branch, Iowa. When I'm not capturing your special moments I'm working on growing Little Lights into a big ol' beautiful new space, and catching moments with my own special people. I care a lot about my clients and want to give you pictures that really feel like YOU! So let's be friends! "Meeting Erin was like meeting an old friend. And her work already spoke for itself and was beautiful!"